(AP Photo/The Canadian Press In this Oct, 29, 2013, file photo, the Sears store at Eaton Centre in Toronto opens its doors for business. 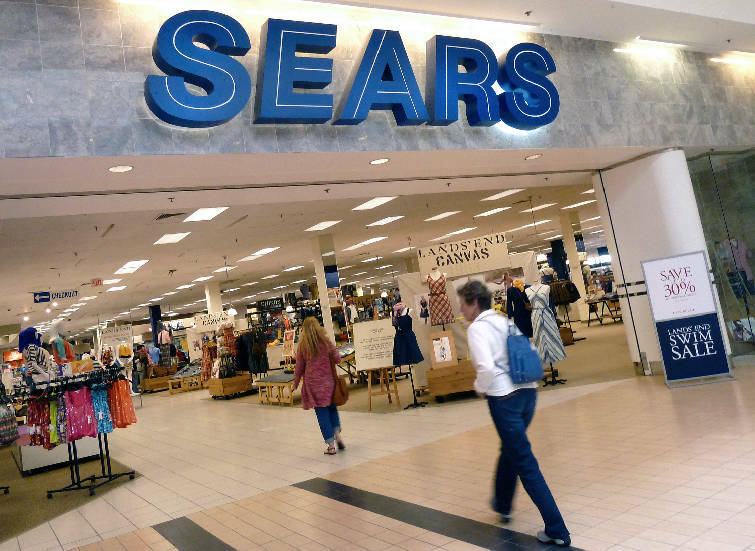 Sears, in need of cash, sold seven locations to CBL & Associates Properties Inc.
* Cross Creek Mall Sears - Fayetteville, N.C.
* Brookfield Square Sears - Brookfield, Wis.
* Jefferson Mall Sears - Louisville, Ky.
* Volusia Mall auto center - Daytona, Fla. The Sears Auto Center at Northgate Mall is part of a $72.5 million acquisition by CBL & Associates Properties Inc.
(AP Photo/Elise Amendola, File) In this Monday, May 14, 2012, file photo, shoppers walk into Sears in Peabody, Mass. Chattanooga's CBL & Associates Properties Inc. paid $72.5 million for a purchase and lease-back deal for seven Sears facilities. CBL & Associates Properties Inc. has bought the Sears store at Hamilton Place mall and the retailer's Northgate Mall auto site as the shopping center company looks to redevelop the space. Chattanooga-based CBL said Monday it acquired the two locations and is leasing them back to the retailer as part of a $72.5 million purchase and lease-back deal involving seven Sears facilities at CBL malls in six states. "The lease back of the real estate by Sears will generate income to CBL and gives us control over the timing of closures while we finalize our redevelopment plans at each location," said CBL Chief Executive Stephen Lebovitz in a statement. CBL will receive aggregate initial base rent of about $5.07 million, with Sears also responsible for paying common area maintenance charges, taxes, insurance and utilities. CBL spokeswoman Stacey Keating said there are no plans for Sears at Hamilton Place or the auto center at Northgate to close at this time and both locations will operate as normal. But, she said, the company anticipates redeveloping the locations in the future. "At this time, we are in the early stages of exploring opportunities to find the best fit," Keating said. "We expect that it will take some time for those plans to be finalized." Sears' stock has tumbled about 30 percent since last Wednesday as the company closed 150 unprofitable Sears and Kmart stores. The company also recently sold its Craftsman tool line to raise cash. Jim Campbell of Campbell Asset Management in Chattanooga said Sears is fighting for its life. "Sears is in a bind cash-wise," he said, adding that a mall operator such as CBL is a natural buyer for the retailers' properties. Campbell said mall companies such as CBL can reposition department stores, adding restaurants, movie theaters or offices, and turn those into a positive revenue generator on a case- by-case basis. Lebovitz said CBL is proactively transforming its market-dominant shopping centers to meet the changing preferences of consumers. "This transaction provides CBL with the opportunity to redevelop prime real estate and attract exciting new uses at some of our best shopping centers," he said. CBL's shares closed Monday at $10.19, up 33 cents, or 3.35 percent on the New York Stock Exchange. While Sears will have a 10-year agreement, CBL has the right to terminate each lease at any time, except November through January, with six months' advance notice. 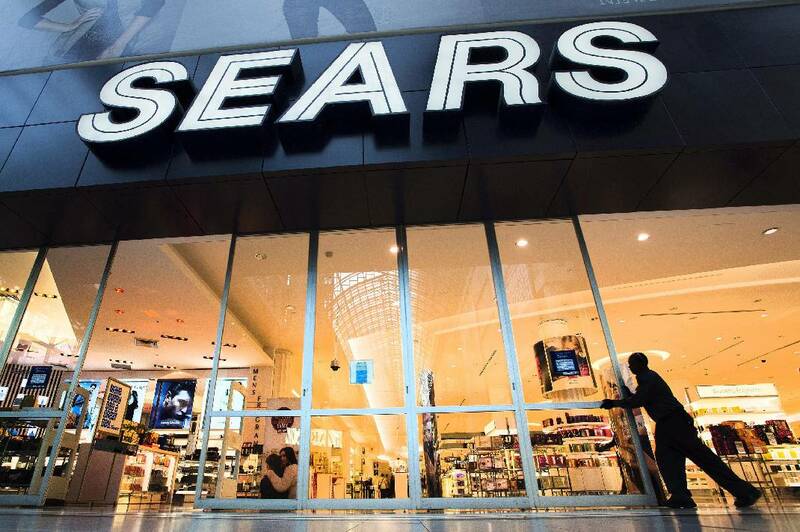 Sears also has termination rights and, upon doing so by either party, the retailer has the option to relocate into smaller spaces at each mall. Although CBL has developed and owns most of its 84 regional malls and open-air centers, anchor tenants such as Sears own their sites at many of the retail properties. Keating said the seven Sears facilities and locations were mutually selected and agreed upon by CBL and Sears. Sears also has a department store at Northgate Mall, which it owns, but it wasn't included in the deal, she said. "In general, this provides us a unique opportunity to recapture prime real estate in order to change the dynamic of the property," Keating said.